My fourth novel Celtic Dreams of Glory is set in Wales. The early part of the story takes place near the town of Cardigan, and the village of St. Dogmaels, where I spent much of my childhood. I hope you will join me at the book launch in the reception lounge of Poets Cove Resort and Spa on Sunday June 30 from 1pm-2pm. Refreshments will be provided. From 1056-1063 Wales achieved greatness as a nation: during these seven years the country was ruled by King Gruffydd ap Llewelyn, the only Welsh King ever to be King of All Wales. This unusual and satisfying novel focuses on his rise to kingship; the unwavering support of the Griffith family, and the constant betrayals of the Welsh nobles. Gruffydd’s journey begins with his great victory over the Saxons at the Battle of Rhyd-y-Groes and ends with his defeat at the hands of Lord Harold, the Saxon Earl of Wessex. 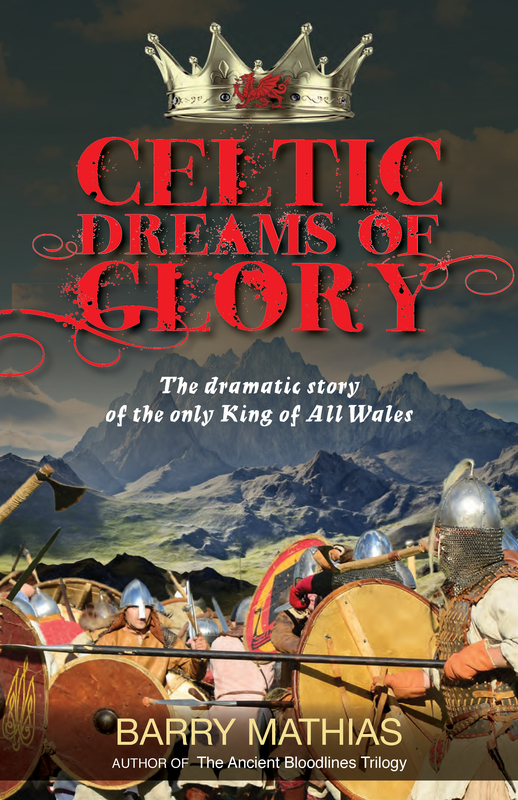 His epic story forms the backdrop to the lives of Gwriad and Dafydd, the sons of the great General Cydweli, who become the King’s greatest supporters. It tells of their gradual rise to power, the women they love, and the dangers that beset them. This is a fast-moving, insightful narrative that clearly depicts life in ancient Wales. It is a time, before the coming of the Normans, when the Celts were briefly unified, and when they could hope and dream. Then, came their unexpected defeat. Thanks Melody. Hope to see you at the launch.